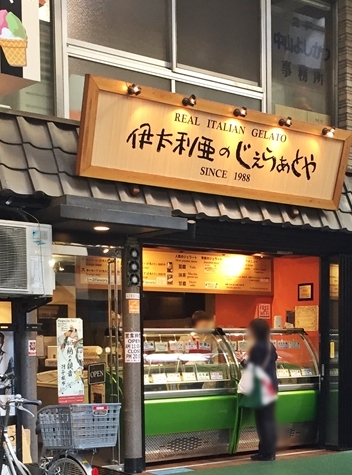 I’d like to recommend this gelato shop in Asakusa that called “Italia-no-gelato-ya”. 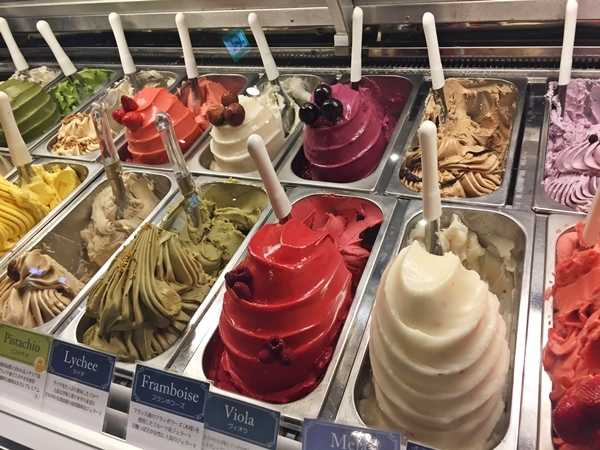 Why I recommend them to you that these’re slight cheaper then other gelato shops and two languages (English and Chinese) sign. 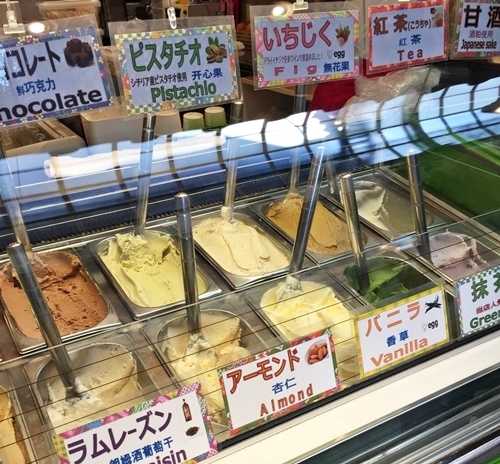 The shop provided Japanese flavors, for example, green tea, Japanese sweet rice wine, sweetened red beans and bean curd taste etc! 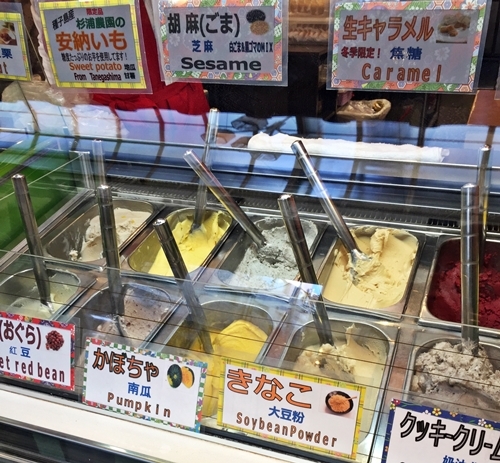 You can choice small cup (selected 2 flavors) ￥300 (about 3 $), or large cup (selected 3 flavors) ￥500 (about 5 $). I choose sweet rice wine &fig. 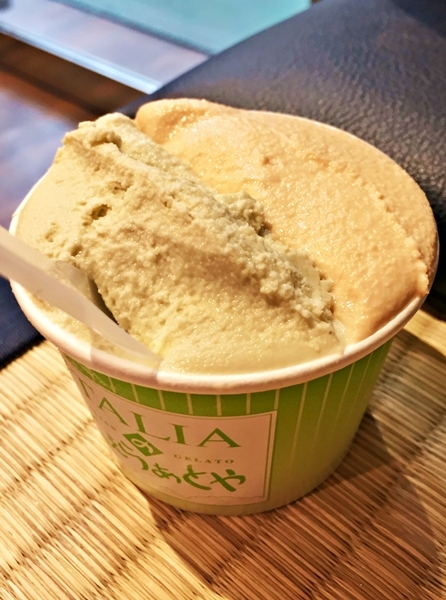 another day I visited the shop again, I choose melted caramel and pistachio. 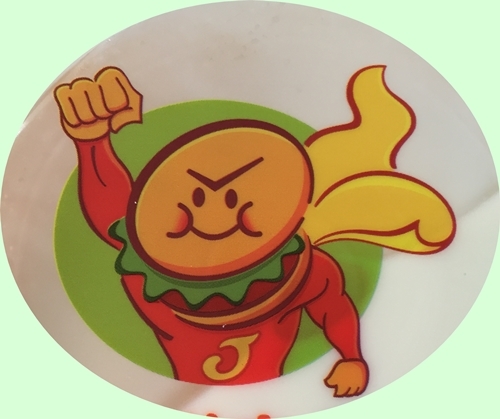 The shop came from Fukuoka (south side Japan) that named “Vito”. 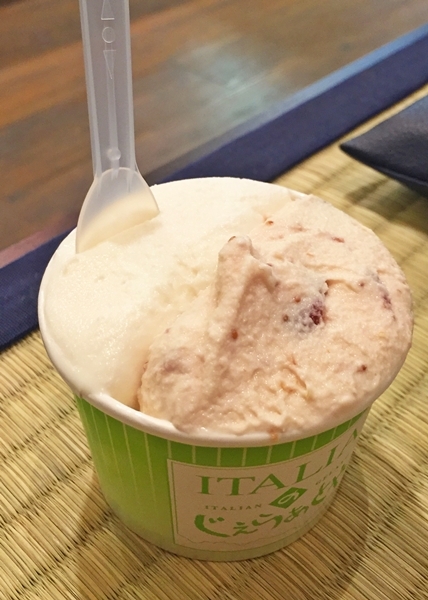 I guessed the shop came from Italy, because taste was thick and display likes authentic gelato shop! The shop has provided a lots of kind coffee, pasta and pizza, If you’d like to have a break time that you take a launch too! I have been to several time there. price is double is ￥500(about 5$), triple is ￥550(about 5.5$). 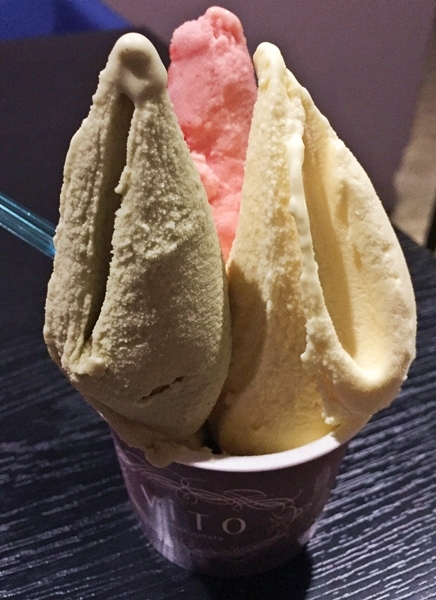 The shop staff kneaded well the gelato, it getting good texture! 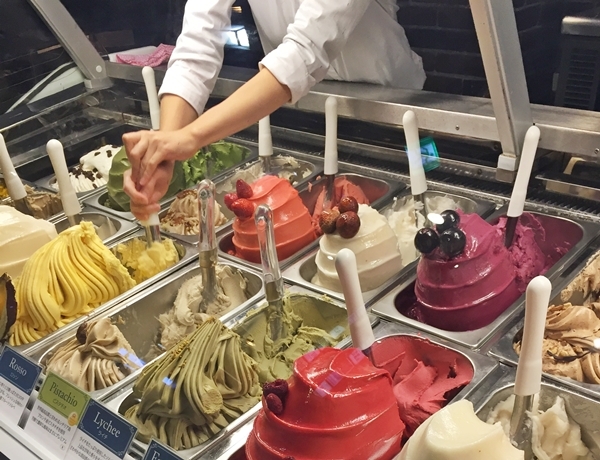 I selected berry berry berry(6 kinds berry with cream cheese) and pistachio. I visited the shop twice! 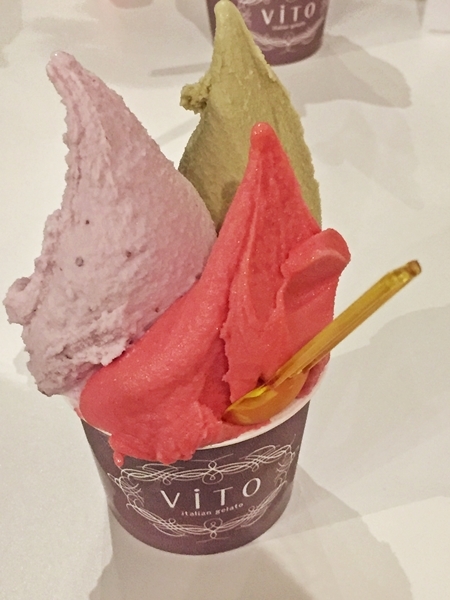 I choose pistachio, sweet potato and white peach with strawberry. I visited the shop three times!! 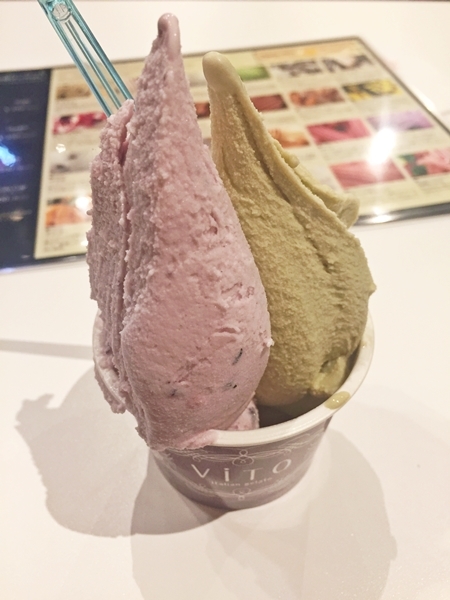 I choose pistachio, raspberry and blueberry yogurt in this time. 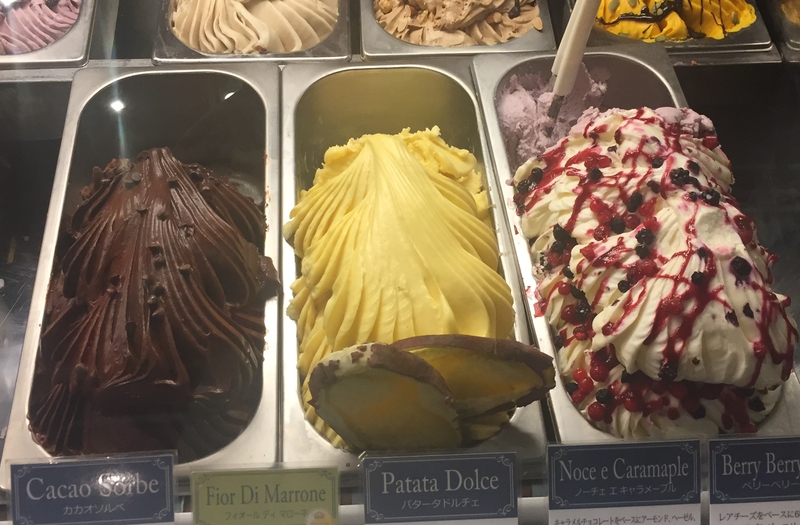 If you favorite thick taste that I recommend “Vito”, but If you would like to try light Japanese style taste, I recommend “gelato of Italy”.